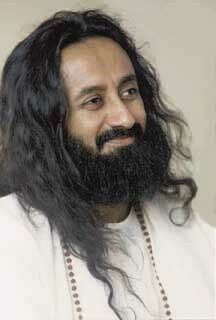 His Holiness Sri Sri Ravi Shankar is the founder of the Art of Living Foundation. Today it is one of the largest voluntary organisations in the world. 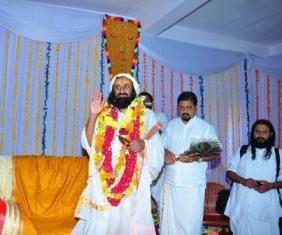 He is one of the great spiritual and humanitarian leaders of India, and honored with the double-honorific "Sri Sri". Born in Papanasam of Tamil Nadu on May 13, 1956 in a spiritually oriented family, Ravi Shankar started showing his spiritualinclination early in life. Since his birthday was on the same date as that of 8th century CE Hindu saint, Adi Shankara, he was christened Shankar. His teacher called him Ravi, and thus the name Ravi Shankar. By the age of 17, he completed his graduation in Science and a degree in Vedic literature. During his growing up years, Ravi Shankar was influenced by Maharishi Mahesh Yogi, the founder of the 'Transcendental Meditation movement' in Rishikesh. In 1982, he started the Art of Living Foundation, and began to teach theSudarshan Kriya, a powerful yet simple breathing technique that eliminates stress and brings one completely to the present moment. It is taught as a course around the world. The Art of Living Foundation has chapters in more than 140 countries. The vision of this great Guruji is to create a stress-free and peaceful world, through the acquisition of wisdom. He emphasizes on creating a link between body and mind, through breathing, and also stresses on meditation and service to others. Simplicity, naturalness, effortlessness and spontaneity are spiritual precepts for him. His words give people solace and comfort. He travels extensively all across the globe, promoting global peace and development. He has undertaken relief efforts in many locations around the world. 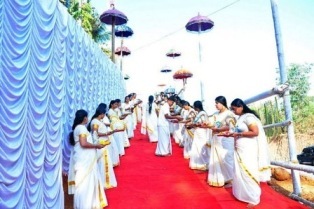 Ved Vignan Mahavidyapeeth, dedicated to the revival of Vedic wisdom in education. 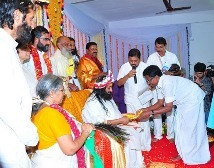 Distinctions - Sri Sri Ravi Shankar is the recipient of numerous honors.